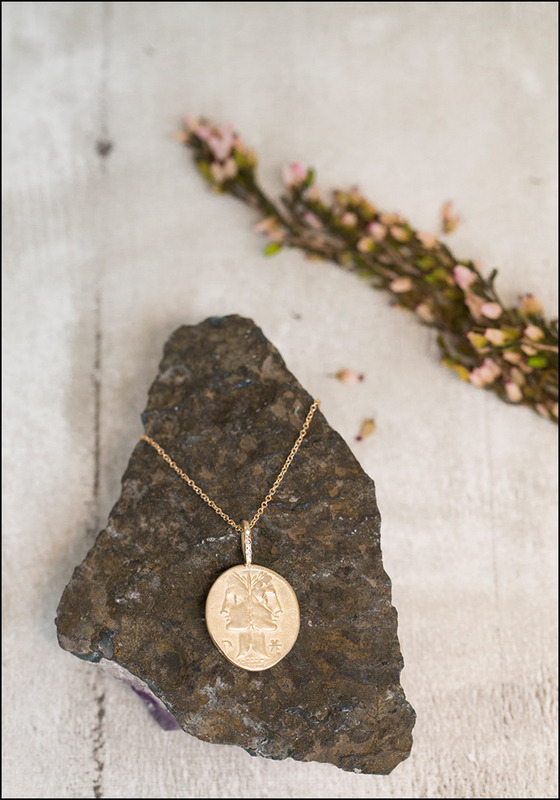 Each of these stunning artifact necklaces is handcrafted from pure 14K gold, and each has a special hidden meaning. They are lovely worn on their own, or layered with other charm and artifact necklaces from the same maker. This piece in particular represents a reminder to live in the present. 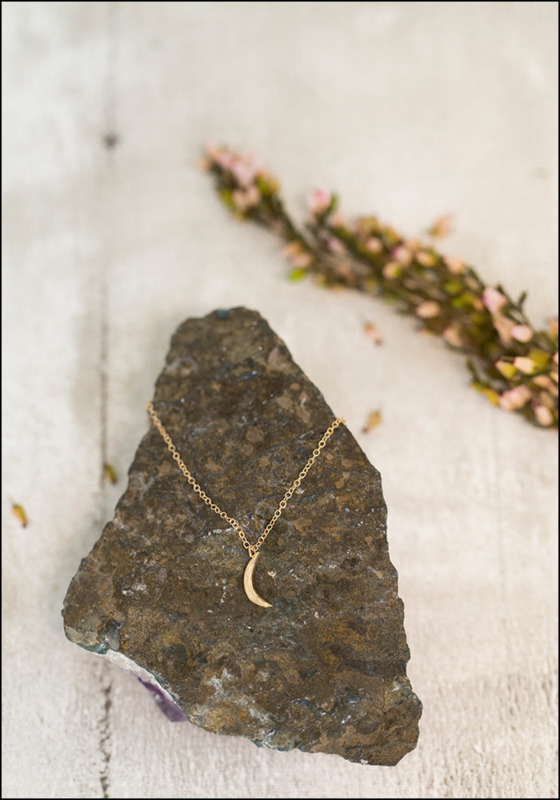 If you look closely, you'll see three tiny diamonds lining the bail that attaches the pendant to the chain, making the piece even more special! 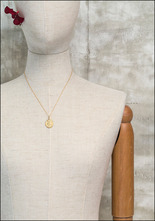 > Pendant length: 1". Width: 5/8". Chain length: 18". 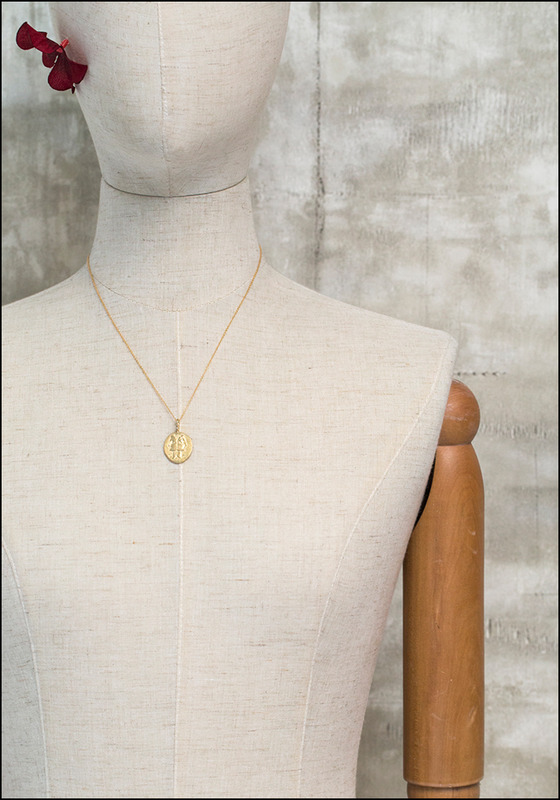 > Handmade in Nashville, TN.